Heat oven to 350°F. In 8-inch skillet, heat oil over medium heat. Add pineapple and onion. Cook 10 to 12 minutes, stirring occasionally, until onions are softened and lightly browned. Separate dough into 8 biscuits; separate each biscuit into 2 layers to make 16 rounds. Press each round to 4 1/2-inch circle. 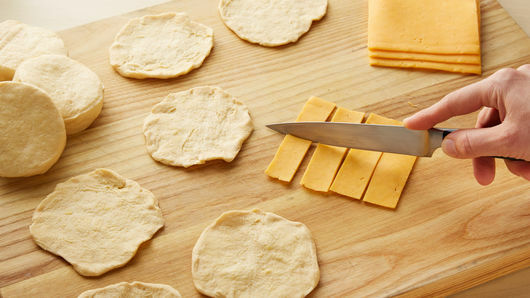 Cut each cheese slice crosswise into 4 strips, then cut each strip into 2 pieces for a total of 8 pieces per slice. Place 2 strips of cheese, slightly overlapping, on half of biscuit round, 1/2 inch from edge. Top with 1 tablespoon pulled pork and slightly less than 1 tablespoon pineapple-onion mixture. 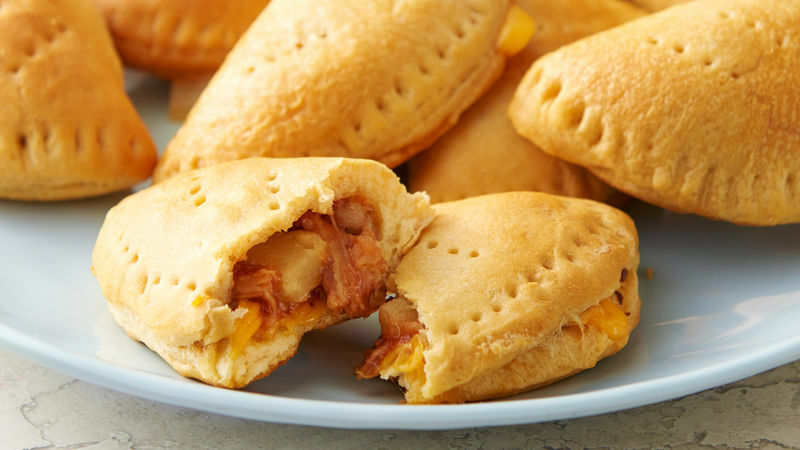 Carefully fold to enclose filling. Transfer to ungreased large cookie sheet. Use fork tines to press edges of biscuit to seal. Poke top of biscuit with fork tines several times. Repeat with remaining biscuits, spacing 2 inches apart on 2 cookie sheets. Bake 13 to 15 minutes or until biscuits are baked through and golden brown. Serve warm. 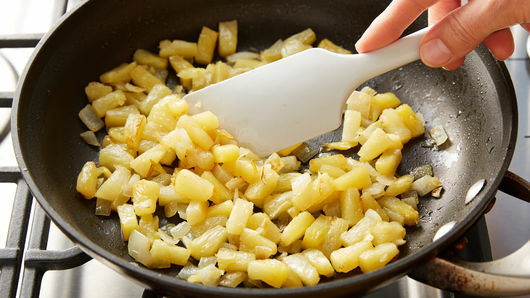 Swap canned pineapple for chopped fresh pineapple, if desired. 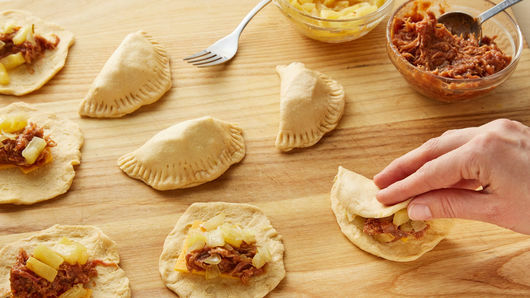 Swap the refrigerated pulled pork for your own favorite pulled pork with barbecue sauce recipe.